Porsche rolled into the 24 Hours of Spa as potential contenders for the overall victory with a slew of brand new GT3 Rs ready to take on all comers. With competitors in the pro class fielded by quasi-factory effort Manthey Racing and KÜS Team75 Bernhard, there was a pair of good quality Porsches with stellar lineups driving them, and both fought for the lead at points throughout the race. The Team75 car #117 was shared by Earl Bamber, Timo Bernhard, and Laurens Vanthoor, while the Manthey entered car was driven by Romain Dumas, Fred Mako, and Dirk Werner. 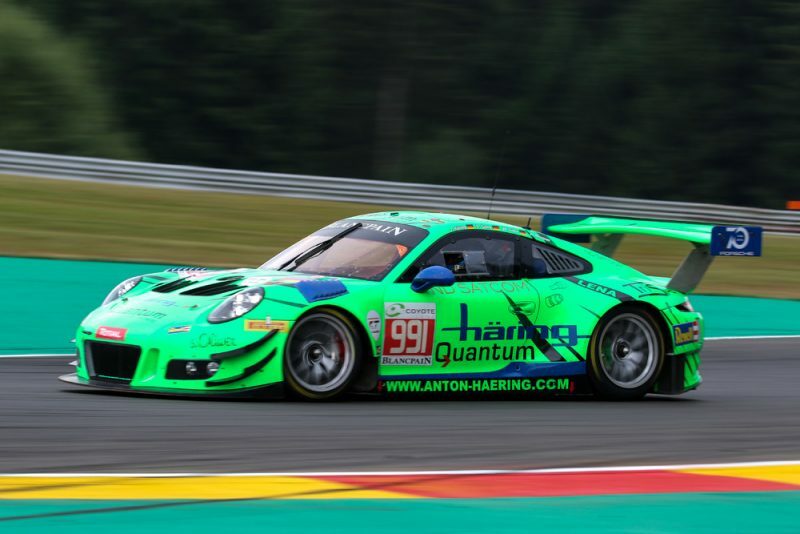 In the Pro-Am Cup, there was the Black Swan Racing with Tim Pappas, Jeroen Bleekemolen, Marc Lieb, and Marc Miller driving, and Herberth Motorsport represented the brand in the Am Cup class with Juergen Haering, Edward Lewis Brauner, Wolfgang Triller, and Alfred Renauer. Things started falling apart for Porsche as the Herberth Motorsport car, world renowned for simply plugging away at the job and getting to the finish in mostly unaltered condition, suffered a halfshaft failure which put them out of contention from the fifth hour of the endurance race. The team was heartbroken, as they were among the fastest in the class. 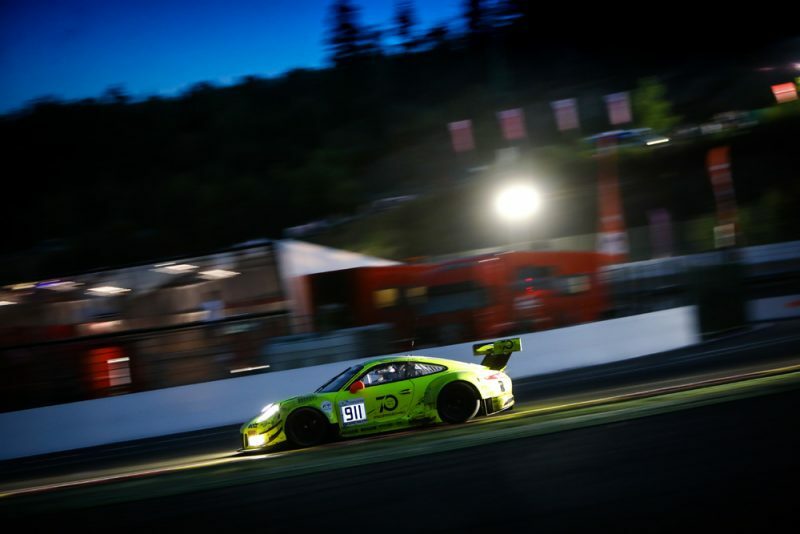 The Manthey car was the next to drop out with electrical issues killing their chances overnight. Then it was the KÜS Team75 Bernhard car that was forced to retire as a car multiple laps down collided with the #117 during a standard overtaking maneuver. The car was spun out and came to a stop right in front of one of the Bentleys, which hit the Porsche with such a force to end both of their races. In the closing segment, all Porsche fans eyes were on the Black Swan Racing car as their best chance of a result in any of the classes. The American-based team owned by Tim Pappas was running as high as second in class when they were forced to pit for a damaged rear diffuser overnight, which dropped them to fifth. As they regained lost time and climbed back into a podium position, the car suffered a tire failure at high speed. After limping back to the pits to fix the car, Marc Miller got in and fresh tires were fitted. Shortly into his recovery stint, the same tire failed. In order to keep the drivers safe and not risk any further potential failures, the team retired the car, pulling the last Porsche standing from the race. Herberth did manage to get their car back on track, but could do no better than 6th in the Am class.